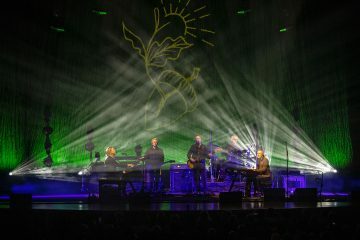 Technical production specialist CPL has invested around £2 million in some of the latest LED, processing, media server and projection technology to ensure it can offer all clients the most creative and appropriate video solutions for a diverse range of shows and events. Video and AV lies in CPL’s DNA, and there has always been a commitment to ensuring that the company keeps ahead of this fast-paced and constantly changing world. This latest investment also points to CPL targeting larger and more ambitious events, and being competitive in more sectors, congruous with a general rise in music-based work. Over 200 square metres of ROE CB5 indoor / outdoor product has been added to the CPL inventory. ROE is one of the top LED brands, renowned for its excellent engineering and innovative approach to product design. The 5 mm pitch carbon-fibre CB5 panels measure 600 x 1200mm, are a slim 77mm thick, weigh just under 14 Kgs each and are ideal for a wide range of applications. CPL has also purchased ROE’s brand-new carbon fibre Air Frames – the first company in the UK to have these onboard! They provide a convenient super lightweight all-in-one hanging, stacking and transportation solution designed for maximum efficiency in all production scenarios. The Air Frames can be flown or ground stacked without needing additional rigging elements making them hugely flexible. The CB5 is IP rated for outdoor use and designed and calculated to withstand high winds. It offers a 10-degree concave or convex curving variant for customized video wall designs, and the curving option applies to the frames as well as the hanging or stacking bars. 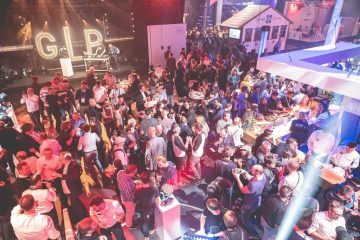 “It’s overall a HUGELY versatile product and we are already benefitting from using it on several shows and events” commented CPL managing director Matthew Boyse. Complete with a stacking-and-rolling dolly system, each specially designed cart holds 16 x panels of CB5 screen and is exceptionally quick to deploy and build on site, reducing overall production set-up / tear-down time as well as being a space saving solution for trucking and storage. The carts are designed to work in a ‘train’ formation whilst constructing large and wide screens. “ROE has become an industry standard premium product and that was also important when considering the purchase” explained CPL’s events director, Lee Gruszeckyj “and we are confident that having this product available will open up new opportunities”. 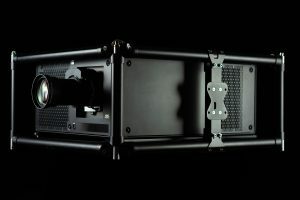 It will also be added to CPL’s existing stock of ROE Black Onyx 3mm LED screen. In addition to the CB5, CPL purchased 200 x ROE Strips, a creative indoor/outdoor LED batten-style product which can be used in conjunction with any other LED surface. It is potentially a great space filler for sets and performance environments, particularly those being recorded or streamed, where ‘black holes’ need to be filled. It can be used imaginatively to create or outline structures as well as being used as a lightsource. The 1.2-metre-long battens offer a 128 x 2-pixel resolution that can be fed via the same Brompton processors running signal to the CB5 and Black Onyx, etc., so they can be mapped with matched video content and assist in creating a kinetic fluidity in LED based set designs. Having all three of these ROE products available from stock – the CB5, Black Onyx and ROE Strip – plus the Air Frames – offers numerous options. Looking ahead, and to enable the processing of 4K signals and content, CPL has added Brompton SX40 processors to the rental inventory together with XD signal distribution boxes. The SX40 rack sits at FOH with a cable running to stage which then splits the signal that is sent to all the screens, including the Brompton T1 processors which will be running the Pixel Strips. CPL likes Brompton for many reasons, including the build quality, robustness and general reliability of the products – considered among the best in LED processing – but especially for the “outstanding” tech support and backup. UK-based Brompton also offers “excellent and comprehensive training and product awareness so all can learn best working practices associated with the kit” explained Lee. More power and flexibility for running video shows and spectaculars comes with this initial purchase comprising two 4x4pro media servers, with more planned soon. disguise was chosen as one of the best and more trusted brands for managing video content. The 4x4pro is designed for mapping content to the largest video surfaces and up to 16 x HD projectors or LED processors can be driven from a single server unit. Eight of these have joined the CPL rental fleet and their first show was the impressive Arcadia Spectacular event in London, which was a massive success. CPL is again among the first handful of companies in the UK to have these exceptionally powerful 31000 Lumen 4K hi res machines. “4K projections are becoming increasingly common on tech specs, so we need to make sure we keep ahead of demand” says Lee. A fully sealed optical system is ideal for working in challenging environments like festivals and for concerts and tours where wind, dust, smoke, haze and other pollutants are rife, and it was all this and the general ruggedness and build quality that ticked all the CPL boxes. CPL director of rental Simon Haydon and the team also liked the concept of product longevity through the evolutionary approach that Barco is taking to its projector architecture and product design. A full range of lenses was purchased – no inconsiderable investment in its own right! CPL already owns several Barco E2 and S3 screen management and image processing systems, and they were keen on a product that would be fully integrated with the Barco Event Master image processing. Simon mentions that the Barco support is also “excellent in every context” and they are another manufacturer running good, informative and fully certified training courses for technicians and end-users. “These are the absolute bollox!” comments Lee “A great product, the best available, and used in Formula 1 which is among the most intensely demanding of sporting environments” he says, elucidating on the incredible ease of set up and use of this expandable, full roaming system with features such as “Touch&Go” beltpack registration. In an industry first, the beltpack can be used as a walkie-talkie! Bolero also supports Bluetooth 4.1, allowing your Smartphone to be connected. When a Smartphone is connected the user can receive calls on their phone and talk and listen via their beltpack headset. 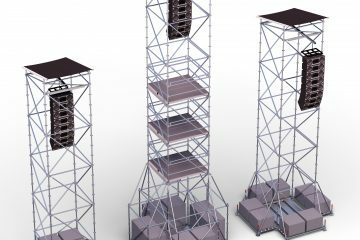 CPL has seen the demand for reliable and stable wireless comms skyrocket for all events in the last 12 months, so this purchase is in response to market demand and is the first of a planned phased investment with Riedel to be built on for the future. 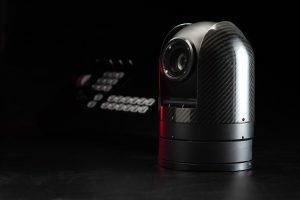 Also chosen for their rock-solid build, this investment includes several Agile ARC 360 hot head remote cameras. The products were originally developed for use in yachting and marine sports environments, so they are incredibly tough and have more recently evolved into being a popular choice for all types of live events – which can present equally challenging scenarios! Known for the truly industrial strength design and construction plus multiple rigging options – and with parts readily available from stock dispatched immediately from Agile – this was another purchase based on best quality products and the resulting creative solutions they will bring to CPL’s clients. Both 4 and 8-way controllers were part of this first new investment in Agile, and as with all these purchases detailed here, more will follow! CPL’s own manufacturing division RigTec fabricates a series of grips, brackets and clamps for Agile cameras – and a wide range of other industry standard devices – allowing plenty of additional adaptability for situations where cameras, projectors etc., can be safely hung, flown, clamped, suspended or otherwise secured … for the deliverance of superlative shows.